Thank you for learning the importance of your cat’s claws! 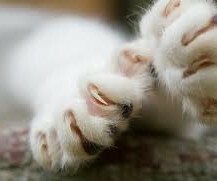 A cat needs to scratch on a surface so they can tone their nails and exercise their bodies. Providing them with a good scratching post designed to maximize your cat’s scratching pleasure and giving them an appealing target for territorial marking, exercise, and natural cat exuberance is very important.